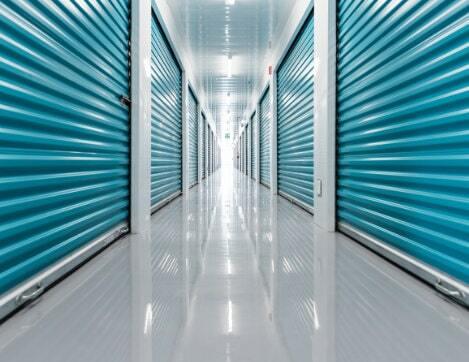 UltraStor’s self-storage units give you the opportunity to store your surplus possessions in a safe, secure, and convenient location. This can prove to be beneficial at the time of moving, selling, or renovating your home or office. Full video coverage, monitoring the main entrance and surrounding area on the property. The only way to enter and exit the premises is by entering your personalized card or scanning your card. This gives us a solid record of everyone who enters and leaves the premises. Padlocks are not enough for many clients, so we have fitted each of our storage units with an alarm system that will keep your possessions protected at all times. Our units are extraordinarily well lit, inside and out, which means there is an extremely low risk of accidents or damage to property due to poor visibility. Plus, you can access your items even when it gets dark. The entire facility is surrounded by a secured fence with only one entrance that is well guarded. No one can come wandering into the premises without proper identification and authorization. We offer a low cost insurance coverage to ensure that you’re compensated in the unlikely event of damage to your valuable possessions.